In our view, the current language around climate change and its solutions is inadequate and even counterproductive. Specifically, we question whether sustainability, the default name for most current efforts towards preservation of life on the planet, keeps us locked into the assumption that whatever we do, we must also sustain the system that is currently in place. Perhaps, this limits us before we even start pursuing these goals in earnest. 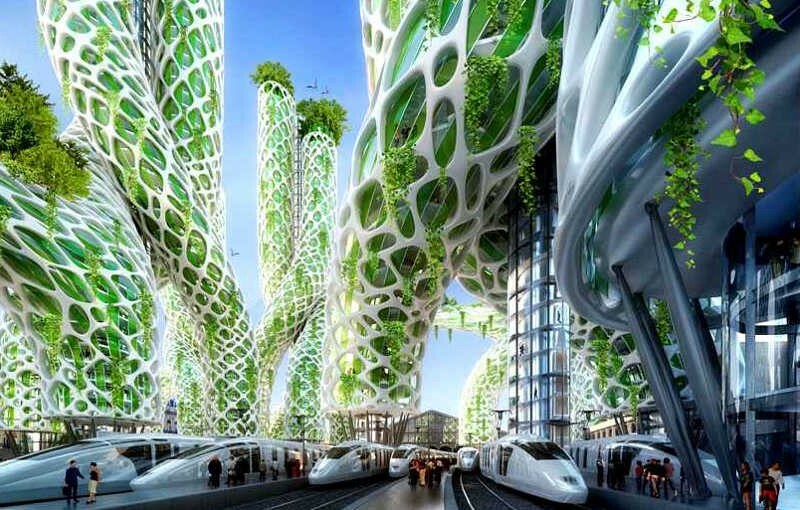 “Regenerative” — regenerative design, regenerative society, regenerative economics — appeals to us as a more ambitious and dynamic term commensurate with the type of ambitious and dynamic actions that are required for the survival of humanity now. All successful movements have understood the use and power of language, this one is no different. If it is to succeed, we must be moved by the call-to-action we are being issued. Sustainability, to date, just has not achieved any such effect. Sustainability, the ability to sustain life to a set of standards, needs to be eclipsed by a new paradigm. As a call-to-action, what sustainability seeks to sustain, above all, is some version of our current way of life, even though the evidence is totally overwhelming that it cannot continue. Living processes, generally, don’t just endure or persevere. Life either flourishes and blooms, evolves and transforms, or it stagnates and dies. The rhetoric of sustainability tends to support the belief that our current form of post-industrial capitalism can be reformed — that it can persist, in something close to its present order. We propose the new paradigm emerge from the ideals of regenerative culture. We can look at our current institutions and ideologies as a substrate, a foundation, providing the conditions for another level of transformation, just as modern bourgeois society emerged from monarchy. According to chaos theory, the nonlinear dynamics of living organisms allow for the emergence of new orders of complexity, when a system reaches a high level of instability. As the mono-cultural, technocratic approach of post-industrial capitalism crumbles, a new worldview — a new way of being — is crystallizing. At this juncture, for the sake of our children’s lives, we must confront hard data and scientific projections that are dire, harrowing to contemplate. A recent Esquire article revealed that many climate scientists are developing emotional problems — pre-traumatic stress disorder — due to their awareness of what is underway. That is understandable. All of the evidence suggests we are rapidly approaching a threshold that could lead to the collapse of civilization, or even humanity’s extinction. In December, the United Nations convened COP21, the Climate Change Conference, in Paris. Hopefully, it will be seen as a turning point to limit climate change and carbon emissions below disastrous levels. And also as the beginning of a sincere commitment by world leaders to start building a low carbon economy. Time will tell. 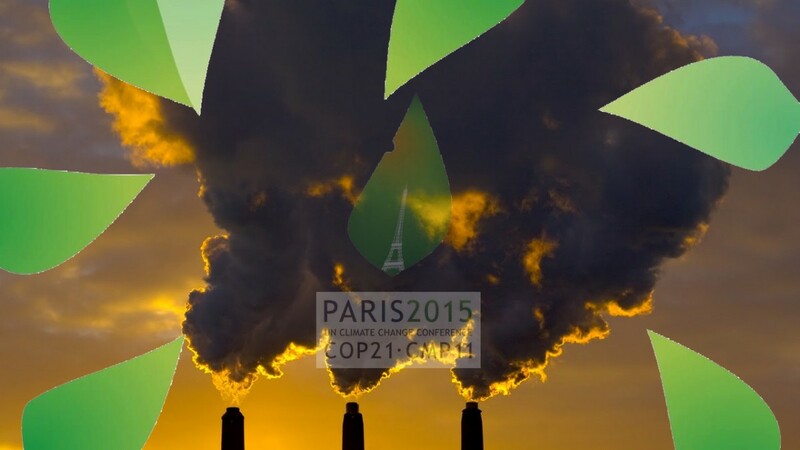 Coverage leading up to and throughout COP21 elevated and broadened the conversation. For most mainstream media, the topic tipped from debate into fact. Many people now feel a growing sense of urgency — a realization that we have reached a threshold. We find ourselves facing an immediate, dire ecological emergency that threatens our continuity, along with that of all other forms of complex life on Earth. Pope Francis raised these concerns in his Encyclical, Care for Our Common Home. With his deep ecologist worldview and activist approach, the Pope may singlehandedly restore the moral authority of the Catholic Church, and redirect this institution onto a new path. The larger question is how we redirect the collective activity of our species on the planet — if this is even possible. Emissions are still increasing globally. Humanity currently pumps more than 1 million tons of CO2 into the atmosphere every hour, and the amount keeps growing. As it stands, we are just one degree above pre-industrial levels and it is already causing many severe, unanticipated negative effects. These include the massive drought in California and the almost complete disappearance of the annual snow pack that feeds California’s rivers and aquifers. Massive forest fires across the US and Canada are becoming endemic. These fires release more carbon, and reduce the capacity of the remaining forests to draw down CO2. This is just one of many positive feedback loops currently being engaged, surpassing the worst projections of a few year’s ago. Simultaneously, we are compromising the integrity of the world’s oceans, which have become 30% more acidic in the last 40 years, as they absorb excess carbon dioxide. The oceans acted as “carbon sinks,” absorbing excess CO2 and slowing the heating of the atmosphere. Scientists worry that the oceans have reached the limit of what they can absorb, and may soon start to release heat rather than storing it. And if saving humanity isn’t motivating (some would argue we deserve what we’re getting at this point), it has been estimated that we are currently losing — driving to extinction — between 150–200 species a day, out of an estimated 8 million species on the planet. At this rate, there will be no species left on the Earth in under 150 years. This also means we are losing ten percent of species every 10–15 years. We are annihilating the most biodiverse places on Earth, such as rain forests, which get turned into palm oil plantations or soybean farms. Collectively, our actions in the next decade may well determine the future of our world. At this juncture, we need to ask very difficult questions — questions few people in our society have been willing to explore, openly and publicly. For example, we must ask whether a reformed capitalism, or a “conscious capitalism,” to use a term coined by John Mackey, CEO of Whole Foods — is possible. If the authentic answer turns out to be no, we must accept the crucial implications of this. And we must do it quickly. When an individual reaches maturity, he or she ceases to grow physically, while their capability to develop in other ways — emotionally, mentally, in amount and depth of wisdom — may increase significantly. We may have reached a similar juncture in the lifecycle of our species. We must ask what the role of media is in disseminating mis-information and no-information on these ecological disasters. Still, there are well-educated and worldly people for whom many of the statistics and facts cited in this essay will be news. We must ask ourselves why we’re not talking about this more with family and friends, within our communities of trust; within our support networks. Those calling for alternatives have tended to be cut off, ostracized, from the establishment, the network of governmental and non-governmental institutions, that controls power in our world. A range of Leftist thinkers — from Slavoj Zizek to Vandana Shiva, Naomi Klein to Noam Chomsky, David Graeber to Murray Bookchin — have proposed we need structural change to reduce wealth inequality and transform our relationship to our living, natural world. Their arguments are marginalized, absorbed by an academic and intellectual fringe. This is not surprising when we consider how corporations exercise a near-total control over the mainstream discourse, through the mass media, promoting the growth-based, consumerist, neoliberal agenda. But the responsibility does not lie with big thinkers and media personalities alone. Each of us must also step up and know that our individual actions do matter. An exciting use of social media could be to organize and create communities of like-minded peoples around behavior change. Going vegan might seem like a drastic step to an individual and one that barely makes a dent in the global agricultural complex. But an aggregated and organized group of tens of thousands pledging to all go vegan together most certainly does. Each of us must ask ourselves what the future we want to step into looks like. Let’s replace platitudes about making the world a cleaner, healthier and safer place for our children, with actionable, tangible details. What does this future actually look like? How do we communicate? How does it function? How is it powered? What value system is it based on? What does it feel like to participate in? What are we eating? Change the Course, an initiative of the Rainforest Action Network, launched a virtual visualization exercise this summer that gave the listener many provocative prompts. More of this kind of intentional use of imagination is desperately needed now. When we consider the short timeframe in which humanity must reckon with the ecological crisis we have unleashed, we do not have time for chaos and incoherence — for a slow-motion breakdown, the rise of Right Wing despotism, or a political vacuum. Pretty soon, people may reach a tipping point, a collective realization that our social structures — our political and economic system — must be reinvented. As that realization dawns, an alternative must be ready with a plan of action, and working prototypes. The best, perhaps the only, option will be to design and implement an orderly, humane, and relatively harmonious transition. The procedure is a bit like installing a new operating system for human society, using our current hardware. As part of this transition, we need to restrict greenhouse gas emissions to the bare minimum, eliminate unnecessary sectors of the global economy, rapidly convert to renewable energy, phase out fossil fuel usage, put limits on corporate power, and shift from industrial farming to organic, regenerative agriculture. To ensure our continuity, we must distribute wealth and resources more equitably across the human community, as a whole. This proposition presents difficulties for the ruling elite, that tiny segment of the population who currently control the lion’s share of capital. However, what must be done is necessary for our collective survival, which includes the financial elite. It is, ultimately, in their best interests, as much as they may not like it. What makes this project feasible — at least, in theory — is the development of the Internet. The Internet could be used to distribute new systems of participatory democracy, as well as new networks of value exchange, based on principles of cooperation and mutual aid. The transition strategy to implement a regenerative social design would be based on “Cradle to Cradle” principles, where manufacturing meshed with the health of the biosphere. It would apply permaculture practices, both ecologically and socially, on a global scale. All of this starts with the most regenerative of resources: human ingenuity. As we are natural beings, human society, in itself, can only be an expression of nature, an unfolding of its hidden capacities. Perhaps, the discovery of fossil fuels under the Earth — stored reservoirs of millions of years of ancient sunlight — were a one-time bequest to humanity. This stored sunlight gave us the power to construct a global civilization. This power also has blinded us. It prevented us from reckoning with the negative consequences of our behavior patterns, which included the urge to dominate and control natural processes, as well as human societies. The last few hundred years, since the Industrial Revolution, were a telescoped process. During this time, humanity overcame local boundaries and became a globally interconnected species — in a sense, a super-organism. We continuously transform our physical environment to satisfy our needs and desires. Imperialism, colonialism, neoliberalism, capitalism, industrialization, and even communism are all transitional systems. They meshed humanity together, crudely and brutally, connecting the entire species through networks of communication and infrastructure. We now require a rapid transition — what the philosopher William Irwin Thompson called a shift from the “globalization of civilization” to the “planetization of consciousness.” As difficult as it is to imagine, we must overcome the blind spots in our ideologies and belief systems. 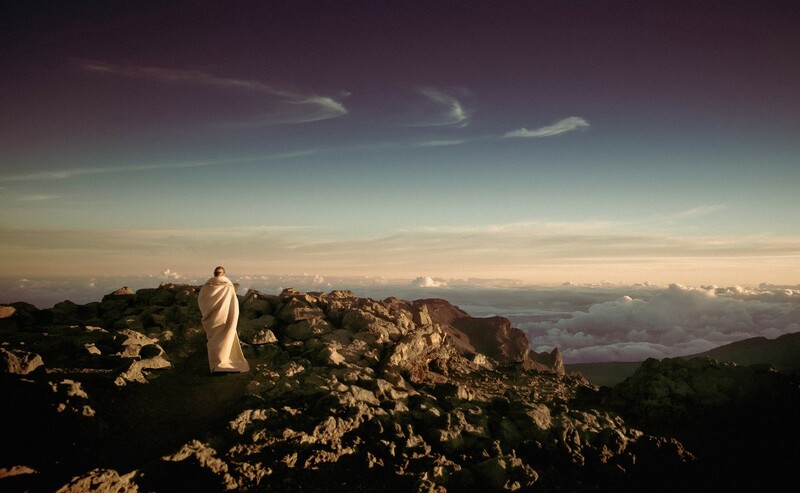 We must find the path that leads to a harmonic, peaceful unification of humanity. This requires defining a new form of political economy that supports the restoration or regeneration of the Earth’s ecosystems, while allowing every human being to live decently. It also means defining a new relationship to technology and innovation. As we approach the threshold of ecological catastrophe, we must question the capacity of an aggregate of self-interested nation-states, as well as self-interested multi-national corporations, and a tiny coterie of the super-wealthy (the 85 individuals who control more capital than half of the world’s 7 billion people), to make the necessary course correction. What we need, instead, is a social movement that builds commitment, solidarity and collective intelligence. Such a global movement must have at hand a comprehensive, systemic alternative. It must be ready to implement scalable solutions, quickly. The potential to establish a worldwide social movement — to bring about an evolutionary mutation in our current way of being — depends on finding a narrative, a mythology, that awakens the deepest yearnings within the collective soul of humanity. It must, also, incite us to manifest our latent capacities for democratic participation and cooperation, for determined action based on empathy, for strategic planning and coordination. The basis for this must be a combination of what Pope Francis calls an “ecological conversion” and a kind of revelation: A shared belief that we can reinvent human society for collective benefit — for the benefit of humanity as a whole, as well as the other species that share this living world. The only option is to define, and promote, a model or models for a future human society that are aspirational, inspiring, pragmatic and dare we say utopian. Models that creates desire, that kindle the deepest hopes, even long forgotten ones, in the hearts of the people — the teeming multitudes. The vision must, also, supplant the current ideal of material and technological progress, which has taken deep roots in the collective consciousness. It must offer something new — and not just novel — something that can regenerate, morph and change as we are called to respond and adapt to a world in a state of extreme transition. We can conceive of a transition to a regenerative society, where economics and industry benefit the Earth’s ecosystems, where we have shifted from competition to cooperation as a basic paradigm, where the world’s religions have been reconciled in a framework that supports peace and harmony. This may seem farfetched — but once the idea of a jet plane or a smart phone was inconceivable. Humanity has the capacity to realize the impossible, when we so choose. Human nature, in itself, is not fixed, but variable and highly contextual. What we can conceive, we can accomplish. Technology has a crucial role to play in this transition, but its power must be harnessed and mastered for ecological restoration and social evolution. We could use the mass media and the Internet to retool the human population, on a global scale, in ecological practices, such as rooftop gardening, rainwater harvesting, composting, ways to produce renewable energy from biodigestors or solar heaters. We could repurpose the engineering genius which created the Internet and the smart phone to build wilderness corridors, rapidly replant forests, reverse ocean acidification, use natural bioremediation techniques on watersheds and wetlands, and so on. Many approaches to this already exist, such as the Terra, a negative interest currency proposed by the economist Bernard Lietaer. Peer2Peer Foundation has worked with the Ecuadorean government to create a “Commons Transition plan, proposing a model for transitioning to a “partnership state” that supports open-source, cooperative economies based on free access to education and distributed manufacturing. There are a number of excellent proposals and prototypes for a new economy — these need to be rapidly tested, tried on large populations, perfected, then scaled up. If we look at our social and technical evolution over the last centuries, it seems similar to a gigantic activity of self-organization, perhaps a transition to a higher order of coherence and complexity. Humanity has overlaid roads, train tracks, fiber optics, urban and suburban sprawl, across the surface of the planet. We have also constructed a global communication infrastructure, like a planetary nervous system, that allows humanity to communicate instantly, from anywhere across the globe. Now we could, in theory, make use of this electronic nervous system to raise the consciousness of the planet, building a collective movement toward social and ecological transformation. The only hope for the future is that humanity embrace a period of shared, collective sacrifice — a path that the ‘Developed World’ must model, as we have been responsible for the largest amount of the pollution as well as promoting the consumerist lifestyle around the planet. Rather than some form of punishment, the sacrifice could be seen as an opportunity to strip ourselves back, to rebuild and embrace local community, to find our essence and connect with our soul. If we can marshal our resources to confront the ecological mega-crisis, we can define a path beyond it that integrates cradle-to-cradle principles, biomimicry, and other principles that are symbiotic with nature, eventually producing abundance for all, while enhancing the health of the biosphere. This is the call-to-action for this generation, the re-generation, the generation that re-thought and re-constructed how we lived in harmony with the planet.